Pros: A great show with fine singing and dancing in a beautiful setting. Cons: Very few and if I have to choose one it is that the orchestra occasionally drowned out the singing in the second half. This production did more than justice to the classic tale of love and betrayal. Powerful and unsentimental with many memorable performances. Combine the early evening sun shining through the trees, a gentle breeze rustling the leaves and the strains of ‘Summertime’ sung in a lovely clear soprano voice filling the air, and you have the makings of a perfect night out. 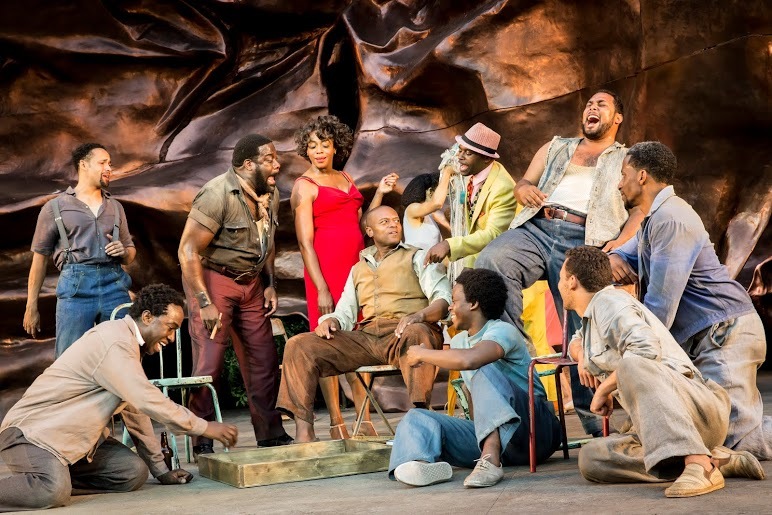 That’s just what’s on offer at Regents Park Open Air Theatre in Timothy Sheader’s outstanding production of The Gershwins’ Porgy and Bess. If you’ve never been to this lovely open air theatre, I can’t recommend it enough. It’s like a well hidden secret on the inner circle of Regents Park and is entirely surrounded by parkland. Founded in 1932, it boasts one of the longest bars of any theatre in London. While the lovely venue could captivate you in its own right, the show – or as some describe it, the opera – is the main event. No matter what its label, it’s a powerful piece of theatre with wonderful songs. What we see on the stage is a small community besieged on all sides, and even from within, by poverty, racism, the judgement of others and, at the end, by the elements themselves. Life on Catfish Row is harsh but it is not without love. The story centres around the unlikely paring of Porgy, a crippled beggar, and Bess, a scarlet woman, addicted to ‘happy dust,’ and the obstacles they both face. I think the sense of this small and isolated community is added to by the large copper sculpture on stage, towering over, protecting and isolating in equal measure. The staging is minimal and there’s very creative use of tables and chairs, which become a fishing boat and, at the end, the road out of Catfish Row. There are strong performances by Nichola Hughes as Bess, who looks stunning in her red dress and captures brilliantly the wildness of her character in the abandoned way she dances after taking ‘happy dust’. 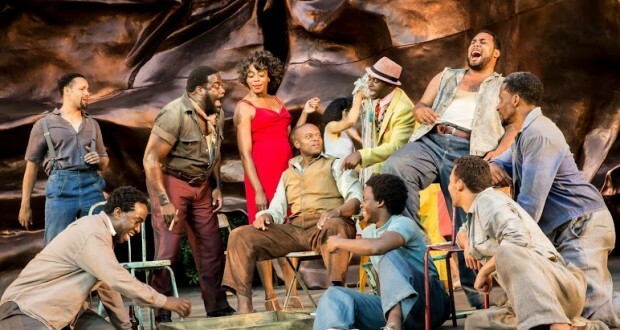 Porgy is played with heart breaking humility and dignity by Rufus Bonds Jr with his powerful and haunting voice. Cedric Neal is great as the treacherous but entertaining drug dealer Sporting Life, and the whole ensemble are wonderful, providing many goosebump worthy moments with their stunning renditions of songs like ‘I Got Plenty O’ Nuttin’ and ‘O Lawd, I’m On My Way’. It is hard to take any of this production and single it out for praise, it is all terrific. Works as a night nurse. Julie is a nurse working in Brighton. She once appeared at Nottingham Playhouse (age 13 years) and has never acted since. Julie studied English and American literature at university and is fan of Pinter, Arthur Miller and Eugene O’Neill. She also loves musicals and opera and is a regular at Glyndebourne Opera House – in the cheap seats. 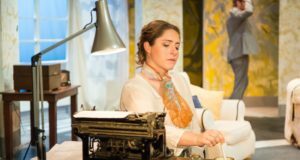 Although new to theatre reviewing, she is a dedicated theatre goer, in particular to fringe theatre, and she is not averse to puppets (especially in musicals).